When we organise media events for our clients, our priority is to ensure that the events are memorable, enjoyable, informative and value for money. 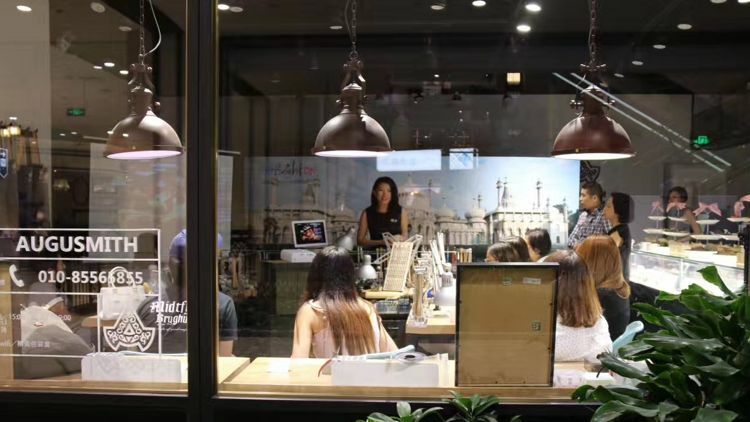 Instead of a presentation in a bland hotel room, we decided to take over a silversmith workshop in downtown Beijing for our latest event for our client, VisitBrighton. Our guests included journalists from digital and offline travel and lifestyle media, including sina.com, Leisure + Travel, Travel Vivid, lvxingshe.com and Travel Weekly China, and editors from travel review site, mafengwo.com. We also invited two senior marketing managers from Hainan Airlines as we hope to collaborate with them this year on press trips to Brighton. China Travel Outbound’s staff delivered a presentation about Brighton, with a focus on festivals, events and the key attractions to visit this summer. Following this, our media guests were invited to design and create a piece of silverware to represent their impressions of Brighton. These were taken away as mementoes of their day and reminders of Brighton. The fish and chips necklace was a particular favourite! The coverage from the event delivered a media value of £31,500 across 10 articles, plus social shares by the journalists of their memorable day with Brighton in Beijing. Enjoyed this blog? Then perhaps these others may also be of interest.